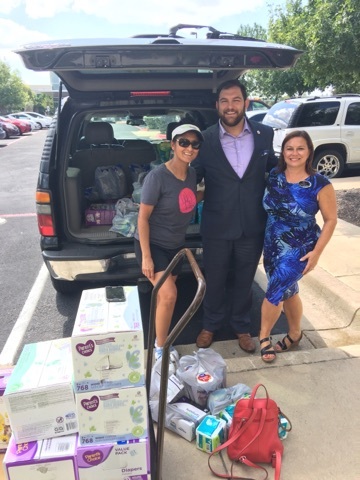 August 30th we deliver Harvey relief supplies to Keller Williams, Round Rock, TX – ArunasNepalRelief, Inc.
Keller Williams Round Rock staff helping us unload the supplies we purchased. They will transport and deliver to Houston! 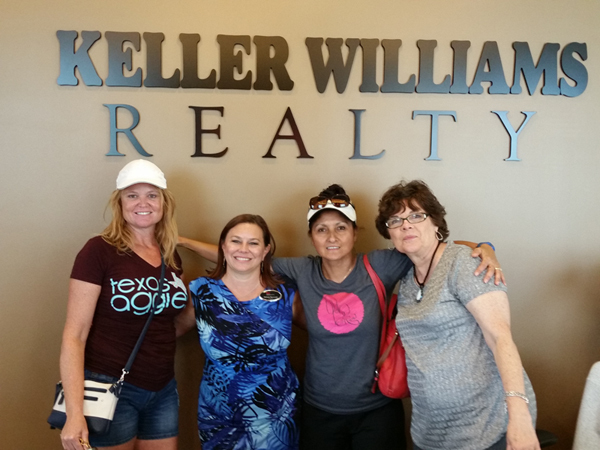 Yesterday, August 30th, 2017 we at ArunasNepalRelief, Inc went and purchased the list of items needed for hurricane Harvey victims and delivered them to Keller Williams at Round Rock, 2300 Greenhill Dr, #200, TX. They are working with KWcares disaster response team, located at 1221 S Mopac Expy, Ste 400, Austin, TX. Relief supplies will be transported and delivered starting Friday, to KW Relief Houston Command Center, 5121 Hiltonview Road, Houston, Texas 77086. Matthew Adams Labita and team at the Round Rock, thank you sparing time for us and helping us unload the relief supplies. They showed us the room that was full of relief supplies they had been getting from neighboring communities, people, small businesses in Texas and we were in awe at the outpouring of support. Their team are doing an amazing job, a few of them including himself are from Houston and have family living there. Thank you for allowing us to be of help to you! ArunasNepalRelief,INC will be doing more in the coming weeks and doing more drops to the proper channels we find will deliver and transport directly to the Harvey victims! We are always happy to have volunteers pitch in and every time we are grateful some help always comes our way! Thank you! Our crew is always small! Yesterday we were a team of two. Thank you my tennis team mate Carol A R for your help all day yesterday! Thank you Melanie B from Cedar Park, TX, another team mate, for your donation as well. 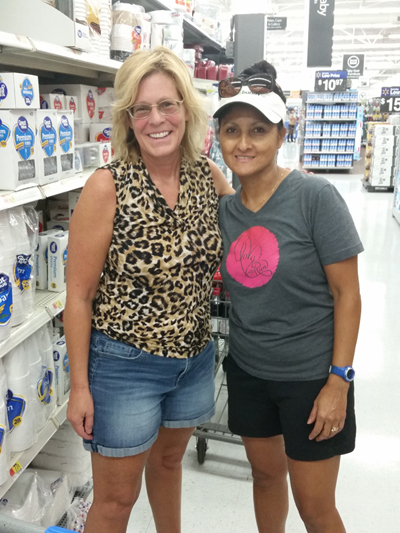 Beth smith thank you for your on the spot donation at Walmart! 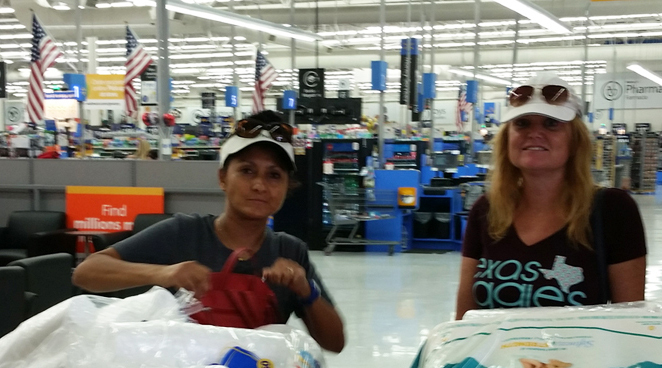 At Walmart as we were shopping, and a lady spoke to us and was so happy to see us helping Harvey victims, she handed us $100 cash right then and there. She told us her parents are very sick so she could not do the drop even though she is from Round Rock and if we would take her donation. We were very touched by her kind gesture to help when she herself is struggling with sick family members. Thank you Beth Smith for your kind heart! You helped us help the victims of hurricane Harvey. Pet supplies also delivered to KW care. Thank you CA for your volunteer an donation! 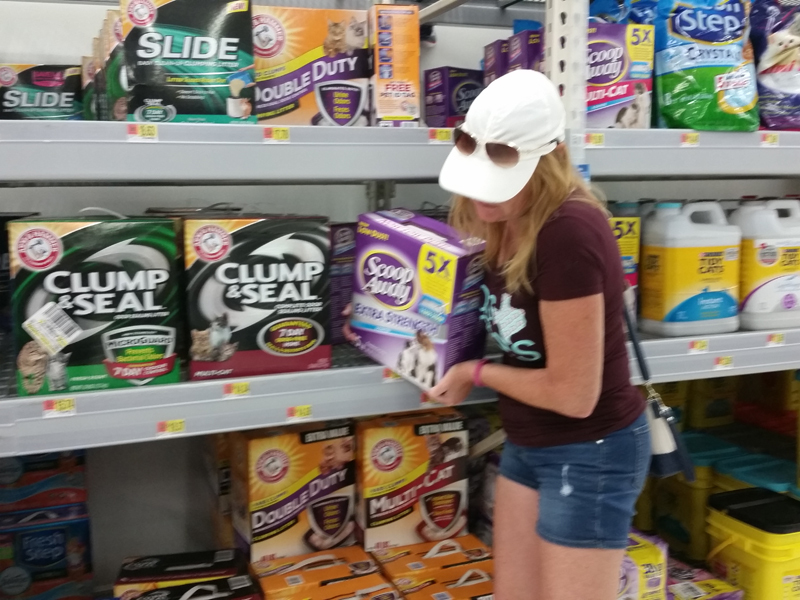 It took us part of the day to shop for the items on the list that were specifically needed and we wanted to make sure that we got the top priority on the lists first. 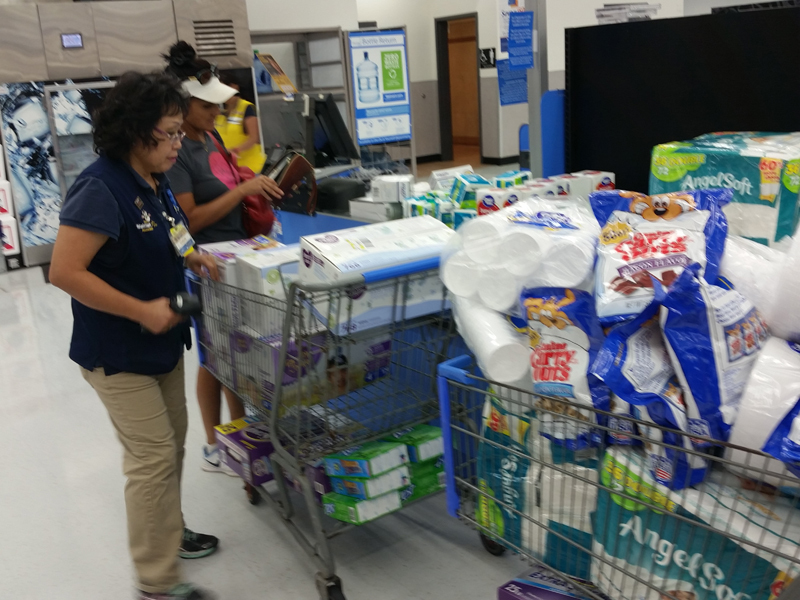 A lot of essential items at Walmart were gone in bulk, this tells us many are helping and buying supplies and delivering them to proper channels. In the coming days our focus will be Pet shelters as well. We will buy more relief supplies and drive them to the location ourselves as Austin and Round Rock takes in more pets and people rescued and other, all seeking shelter and refuge here in Austin and Round Rock and other areas! Thank you all donor’s and volunteers for your continued help to us here at ArunasNepalRelief, Inc. Without you all, we couldn’t do what we do, lend a hand where it is needed most!